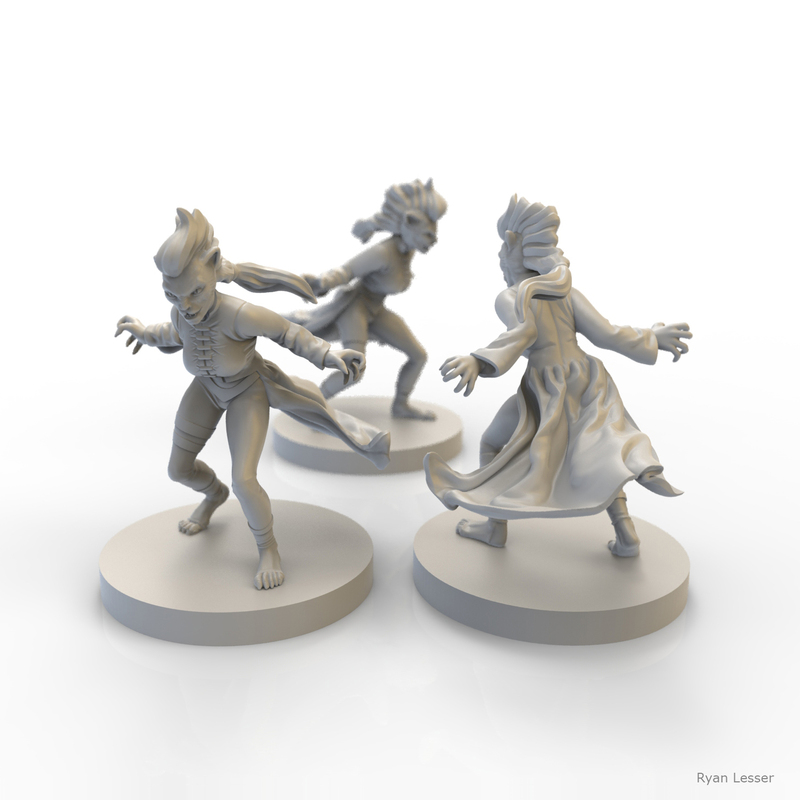 The fourth mini will be designed ahead of time, and we will follow along with the process of turning a 2D design into a 3D Brush sculpt - and then how that 3D sculpt gets used in the creation of the master figurine, mold making, & final molding of the gaming minis. We have posted a series of Reckless Deck cards, drawn from Volume 1, the new Volume 2, and several of the forthcoming Expansion Packs. The challenge requires all participants to choose at least three cards from the group, and to use them as the basis for creating an original character. The judges will be looking for: a unique and fresh character, and the ability to synthesize the different character prompts into a cohesive whole, as well as traditional Character Concept Art and technical execution concerns. The challenge art may be presented as both character concept art, or as a finished illustration depicting the character. 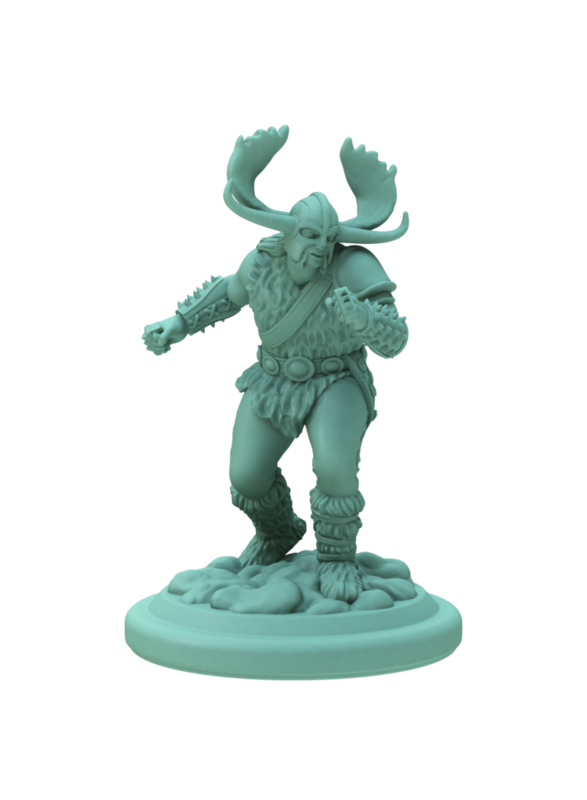 If the artist chooses to submit Character Concept Art, he or she must also include a BxW/ pencil sketch of the character in a dynamic pose appropriate for a gaming miniature. If the artist chooses to submit a finished Illustration (or Character Vignette) presenting the character in a dynamic pose, he or she must also include a BxW or pencil sketch of the character as seen from the back and side. These parameters also apply to 3D artist submissions. Either a sculpt of a character in a dynamic pose suitable for a mini with a sketch of the character standing to the front, back and side, or a character concept design with a sketch of a dynamic pose. Each artist should also include a written list of the cards they selected to create their character,. In addition, they should include a 1-3 sentence description of the character and their function or role in the world they inhabit. This will help the judges better understand the context of the design choices used to create the character. Medium: Any, however emphasis must be placed on showcasing the character’s attributes. A gorgeous illustration with the character mostly hidden in shadow does not fit the parameters of the challenge. Both 2D and 3D entries are welcome. 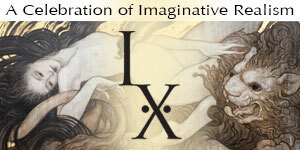 Submission Process & Specs: Submissions should be uploaded through the Infected By Art website. Challenge process. Digital files for submission should be no smaller than 600x600 px Who is Eligible: All artists, all levels. Submissions from all countries accepted, though offer not valid in localities where participation in such contests is not legal. 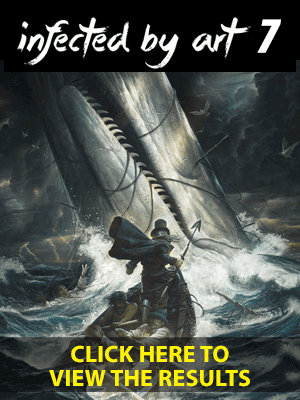 Artists may submit multiple entries, and have more than a single winning design.